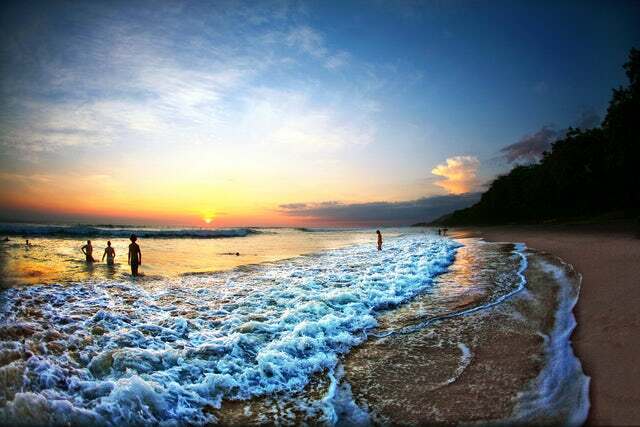 Costa Rica is a Central American republic that is bordered by Nicaragua to the north, Panama to the south, Caribbean Sea to the east and Pacific Ocean to the west. It is a Spanish speaking country that is today one of the most sought after tourist destinations. However, it was not always so. Below is a brief chronology of how the country came to be. The area on which the present day Costa Rica sits was mainly occupied by the Mesoamerican and Andean native cultures. Actually, it is said that the two civilizations overlapped. Evidence shows that since around 10,000 to 7,000 years BCE, the area was inhabited by the hunter gatherer community. At around 5,000 years ago, there is evidence that tubers and roots were grown in the area and during the 1st and 2nd Millennia BCE, the area was fully settled with items such as Shards of pots, cylindrical vases, platters, gourds and other forms of vases decorated with grooves, prints, and some modeled after animals have been found. Whether or not it was Christopher Columbus (1502) who gave the country the name Costa Rica (Rich Coast) is still in debate. Later Costa Rica would become the southernmost region under the Captaincy General of Guatemala. September 15, 1821 - After the Mexican War of Independence (1810–21), the authorities in Guatemala declared all South America officially liberated. 1823 - Like all South American regions, Costa Rica joined the short-lived First Mexican Empire of Agustín de Iturbide in 1821, but it collapsed in 1823. After the collapse, Costa Rica joined the Federal Republic of Central America up to 1839, during which time the authorities loosely undertook few administrative actions since Costa Rica was poor. 1838 - After a long of government dysfunction in Costa Rica due to the long route and high plateaus that separated Guatemala City and Costa Rica, the Costa Ricans declared themselves sovereign. 1843 - The first shipment of Costa Rican coffee was shipped to Europe. The commodity would remain the main export of the country well into the 20th Century, turning more and more people wealthier and more and more poor. The only bad blip on an otherwise peaceful country is seen in 1944 under Rafael Ángel Calderón Guardia which saw 2000 people dead in a 44-day civil war. Later, some rebels would form a government which would last up to 1949, during which period they enacted a lot of constitutional reforms. Today, Costa Rica has enjoyed relative peace having elected 13 presidents in peaceful elections. Its major foreign earner today is tourism. It is the destination of choice among the US citizens travelling to Central America. There you have it. Visit the country and have a wonderful time.